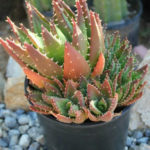 Aloe x nobilis is an evergreen, rosette-forming succulent that suckers profusely, creating a large grouping, up to 18 inches (45 cm) tall, of fleshy, green leaves that have a tint of rose color on the tips and yellow to white, sharp but flexible teeth running along the edges with a few in spots on the inside of the leaves. 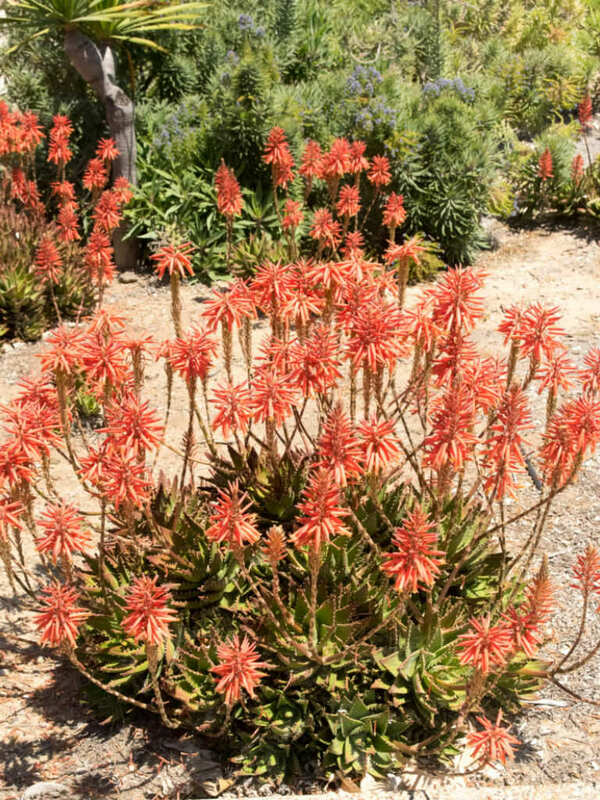 The bright orange branched inflorescences rise well above the foliage to about 2 feet (60 cm) tall in mid-summer. USDA hardiness zone 9b to 10b: from 25 °F (−3.9 °C) to 40 °F (+4.4 °C). 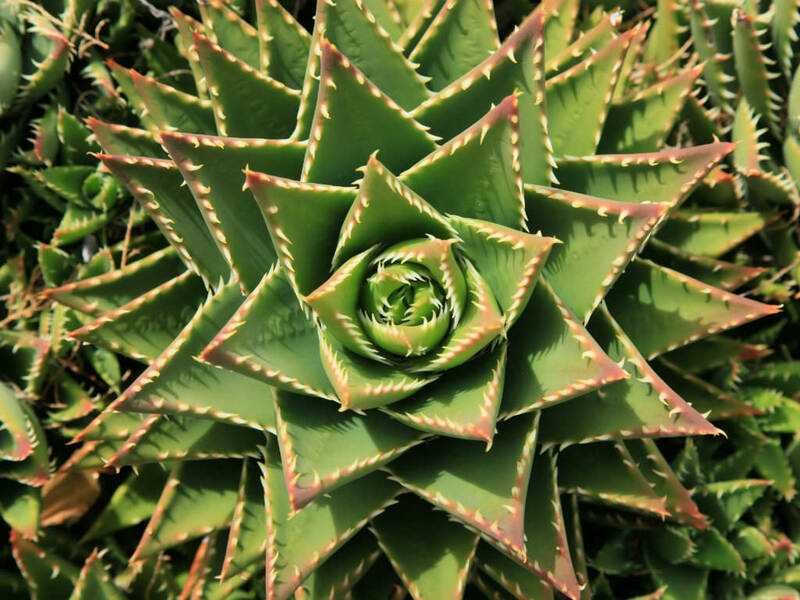 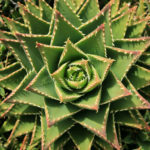 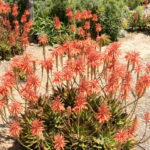 Aloe x nobilis is a hybrid of Aloe perfoliata with Aloe brevifolia, very commonly used in landscaping around the world and is often nicknamed Aloe nobilis. 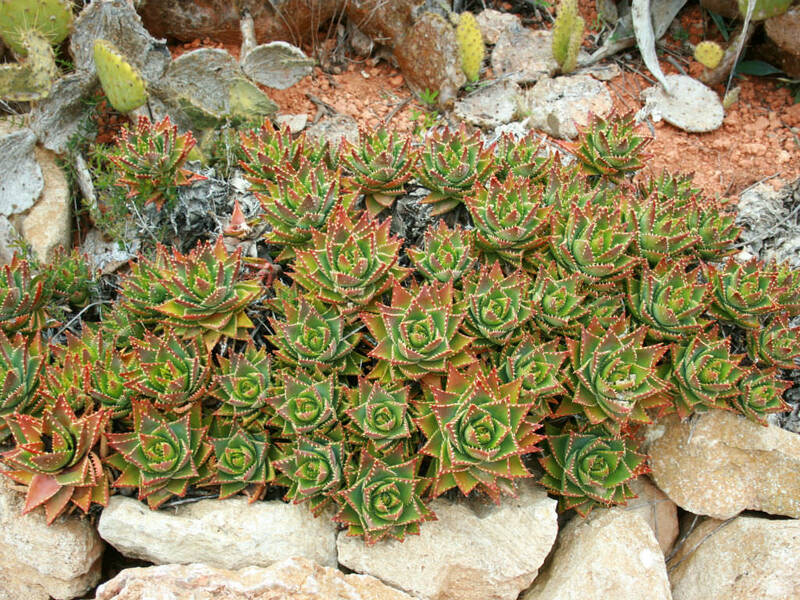 It is frequently confused with Aloe perfoliata itself, but the “nobilis” hybrid is a much smaller plant and has much smaller rosettes. 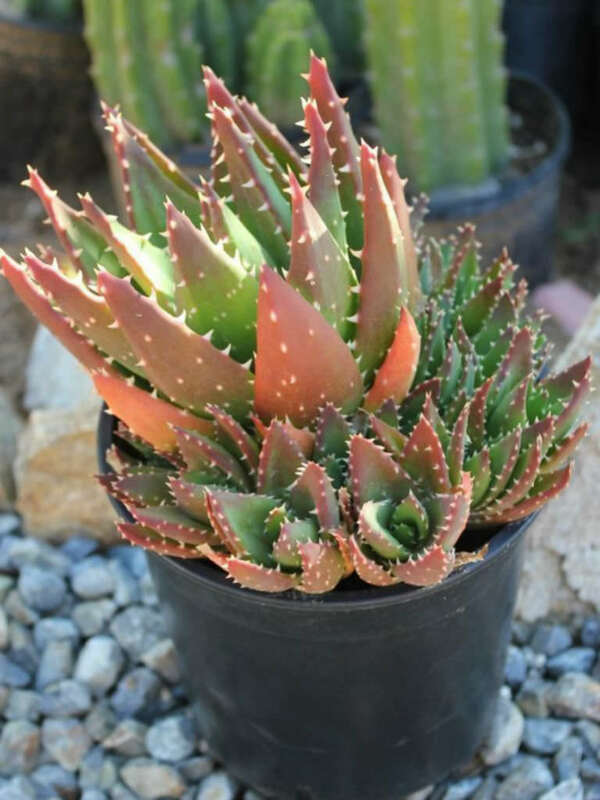 It is usually a light green color.